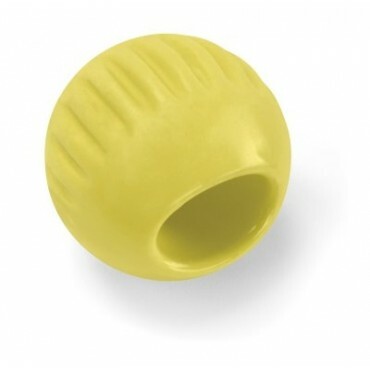 Perfect for teething puppies and small chewers. Unique formulation designed to be soft and chewy but durable enough to last. Scientists have determined that a limited number of colors can be seen by puppies. Baby BIONIC comes in carefully chosen colors (purple & yellow) that are attractive to puppies developing eyes. Made from non-toxic material and is 100% recyclable.